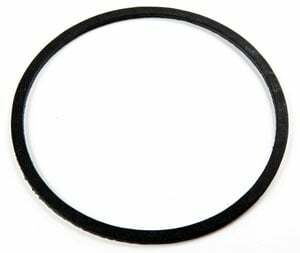 The air cleaner base to carburetor air horn gasket may possibly be the most overlooked gasket on any engine. This little gasket from Fel-Pro may not seem important now but, in the long run, it could be an engine saver by making sure all of the intake air is filtered. 2104 - Fel-Pro Air Cleaner Gaskets is rated 5.0 out of 5 by 2. Rated 5 out of 5 by vsixer from Works great Like that fact it sticks to the carb. Works great with the blow thru carb hat. Rated 5 out of 5 by Tinhorn from Great gasket, adhesive holds it to carb. Keeps my oval air cleaner aligned with carb. Felpro is always the best.